If you want to buy a home in Royal Oaks, you better be standing ready with an offer and binder deposit for the next one to hit the market. 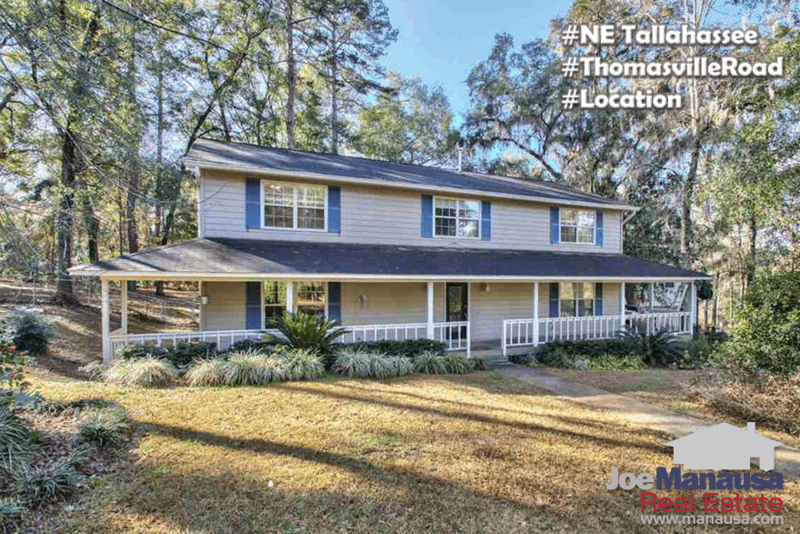 Located along inarguably the most desired stretch of road in Tallahassee, the Thomasville Road Corridor, Royal Oaks listings have become both scarce and fleeting. The following list of homes are the current available listings in Royal Oaks. Currently, there are two homes for sale in Royal Oaks, but one is already under contract with a buyer. Our experience in recent months is that a properly priced home in Royal Oaks often sells within hours of hitting the market (if not sooner!). 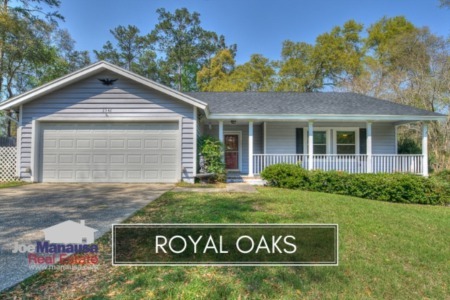 If you are fortunate enough to discover a Royal Oaks home below $200,000, jump on it and consider yourself blessed if you win the home (other buyers will be jumping too). 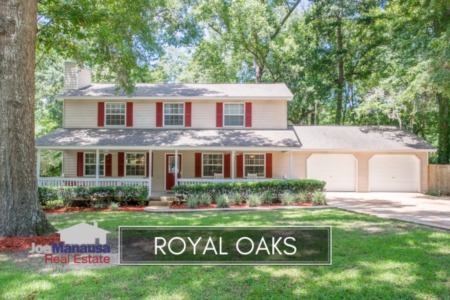 This Royal Oaks home sales report examines long-term trends of home prices, home values, and home sizes in Royal Oaks, and displays current listings in the Tallahassee MLS and all homes sold going back to 1991. It is important to note that the narrative contained below is for sales through December for all previous years, but through the the fifth of March in 2017. The graphs and the closed sales table will be continuously updated into the future (meaning bookmark this page if you always want to know the current status of homes in Royal Oaks). Through the writing of this report in early March 2017, there have not been any homes sold. In 2016, the average price of $228,200. This number is the result of too few sales used to calculate it, and if you look at the table near the end of this report, you will see home prices all over the map. What you won't find ... is inventory. If your buyer's agent likes the price of a home in Royal Oaks, it won't last the day. Average home values look as if they dropped in 2016, but I can assure you homes were appreciating here. With so few sales, extremes at either end will create sporadic results. Remember though, the "few" sales was not because buyers don't want in, it is because current homeowners don't want to move. In 2016, the average value of a home sold in Royal Oaks was been $105 per square foot. But looking at the table at the end, $108 per foot was the lowest recorded for the last 8 months of the year. The average home size sold in Royal Oaks typically falls in a range of 1,800 to 2,100 square feet, but last year we saw a new high posted. The 7 homes sold in 2016 averaged 2,127 square feet. The following list shows nearly 400 home sales in Royal Oaks going back to 1991. I hope you enjoyed our March 2017 update on home sales in Royal Oaks, please feel free to drop me a note if you need a real estate broker or if you would like to know the current market value of your home.